We are the owner or the licensee of all intellectual property rights in our site, and in the material published on it, including all guidelines. All materials are protected by copyright laws and treaties around the world. All such rights are reserved. You may print or download Content from the Site for your own personal, non-commercial use, provided that you keep intact all copyright and other proprietary notices. You may not engage in systematic retrieval of Content from the Site to create or compile, directly or indirectly, a collection, compilation, database or directory without prior written permission from LSUS. You may embed those videos into a third party blog or website that were uploaded on the video sharing site Vimeo or Youtube. These videos have to carry the LSUS logo. The LSUS accepts no responsibility whatsoever for linked websites or any information contained therein. 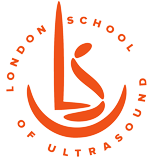 London school of Ultrasound’, ‘LSUS’ and the LSUS logo and its constituent parts are UK registered trademarks of the London School of Ultrasound. We give no permission for the use of these trademarks, and such use may constitute an infringement of our rights. Our Company and LSUS are aware that patient privacy is a priority for all healthcare professionals. Treatment and other patient management decisions should not solely be based on information provided on our website. We thus recommend that treating physicians always refer to available guidelines whenever possible. LSUS is not liable for diagnoses, treatments or any other actions that maybe taken based on the information provided during our Events. Use of data and information obtained from or through our web site is at your sole risk. No liability is accepted by LSUS for loss or corruption of data. We regret that it is not possible for the LSUS to offer medical advice on any individual or general medical condition. Users of this website seeking advice on any medical condition should consult their medical practitioner. You may pay for the services which you order online by supplying your credit/debit card details on the secure online order form. We operate the highest level of security, meaning your card details are not kept. Our site uses high-level SSL encryption technology, the most advanced security software currently available for online transactions. You can therefore rest assured that we take the privacy and security of your payment and personal details very seriously. You can tell whether a page is secure, as ‘https’ will replace the ‘http’ at the front of the www.clemmente.com in your browser address window. A small locked padlock will also appear in the bottom bar of your browser window. Please note that we cannot guarantee the security of data if you communicate with us via email. Accordingly please do not send us payment information using email. For details of the security measures we employ please read our Privacy Statement. Unless we are fraudulent or negligent we will not be liable to you for any losses caused as a result of unauthorised access to the personal and transactional information you provide us with when placing an order. We reserve the right at any time to make changes to this Website, these Terms and Conditions, Privacy Statement and such other policies as we may notify you of. You will be subject to the policies and terms and conditions in force at the time you use the Website. Changes, which we are required to make by law, could apply to orders that you have already made. If any of the terms and conditions forming the contract between us are deemed invalid, void or unenforceable for any reason, it will be deemed severable and not affect the validity and enforceability of the remaining terms and conditions.